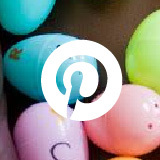 This post originally appeared on the blog Mrs. P’s Specialties. 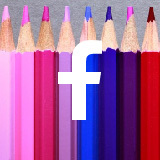 Do you have students who hate to practice writing? 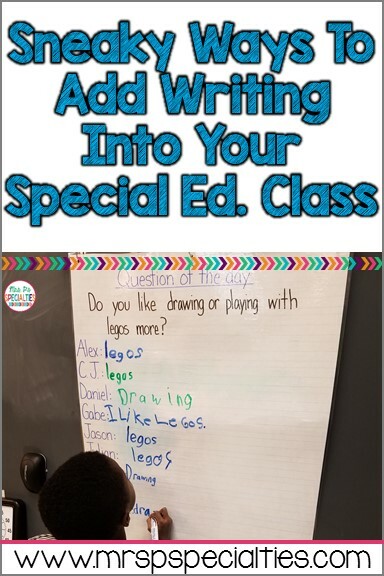 Over the past 20 years of teaching, almost every student I have had in my special education class has disliked writing. It is challenging and often a very difficult task for my students. Sometimes, just hearing about a writing task can send my students over the edge. 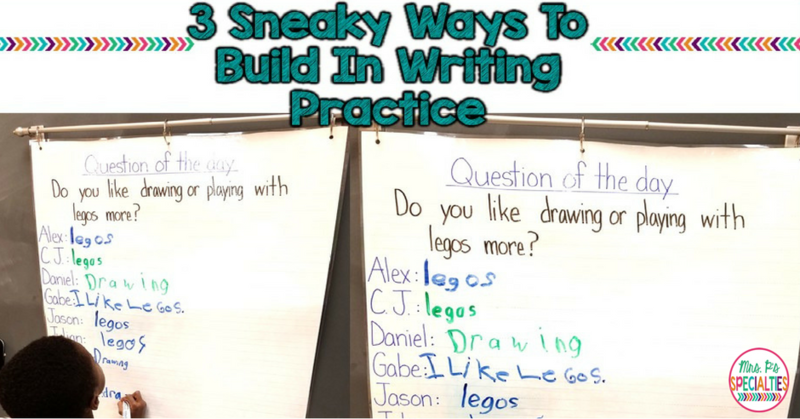 Here are 3 different ways I “sneak” extra writing practice into our school day. First things first…. 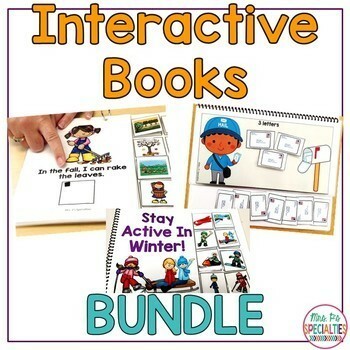 Do NOT label these activities as writing!! 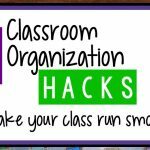 If you label the task for students as something else (ex: question of the day time), then students will think of it that way. Labeling it as writing automatically makes a student who hates writing cranky. All of our students have autism or another language-based disability, so most of our day is made up of language-based tasks and activities. 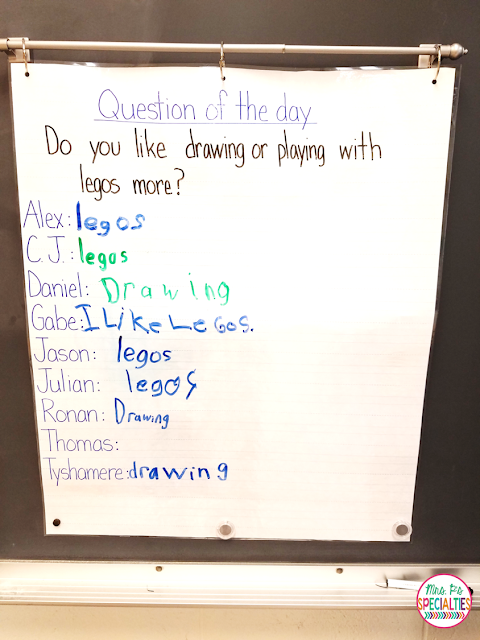 I originally thought of adding a question of the day time to target answering questions with my students. Then, I realized that it could be even more beneficial by adding in a writing component. Best part… it is basically no prep! Win!! To make the poster, I just added a title and my students’ names to a lined chart paper and then laminated it. Every morning, I write a new question on the top of the poster. 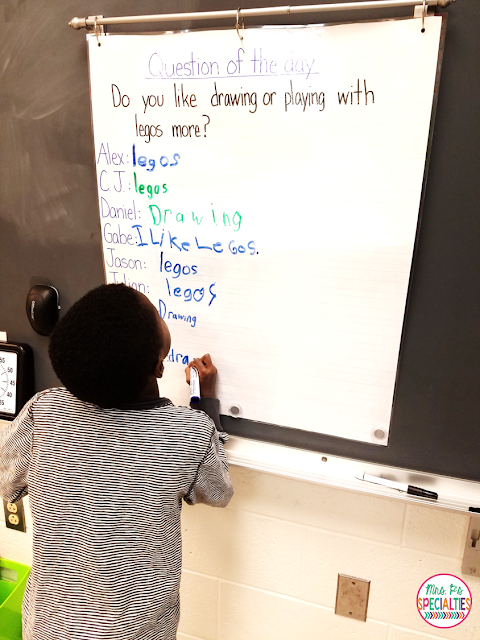 During snack time, I have students take turns coming up to write their answer. You can practice answering a variety of questions. We do yes or no questions. 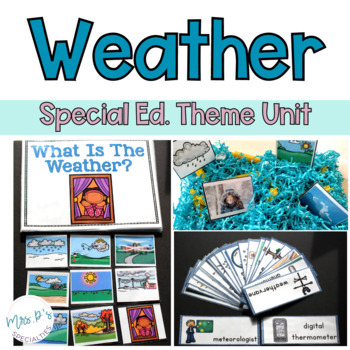 We also do questions based on our theme, science unit, upcoming holidays, etc. 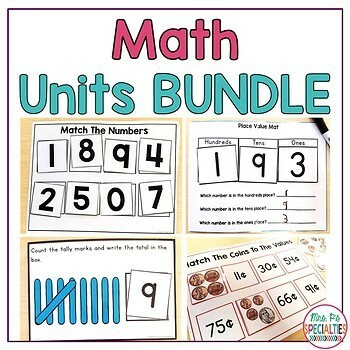 This activity is also super easy to differentiate. For example, some students have to write a one word answer while other students have to write a complete sentence. 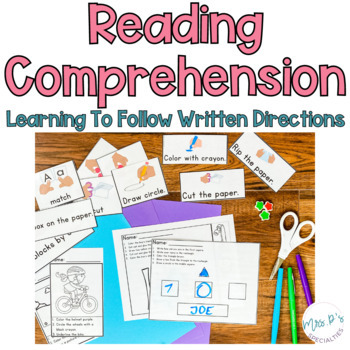 Check out the post, Combine Math And Writing For Extra Practice With Question Of The Day, for tips on adding math into this activity. 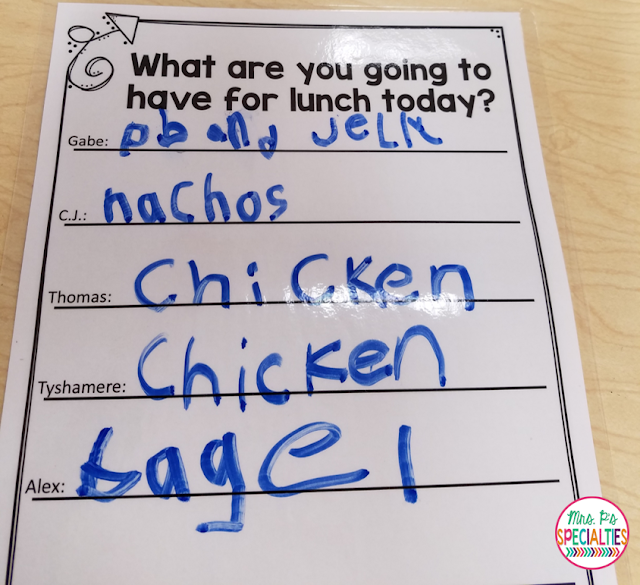 Another way to add in writing is to have students help make the lunch list. Every morning, my students order what they are going to eat for lunch as soon as they arrive. 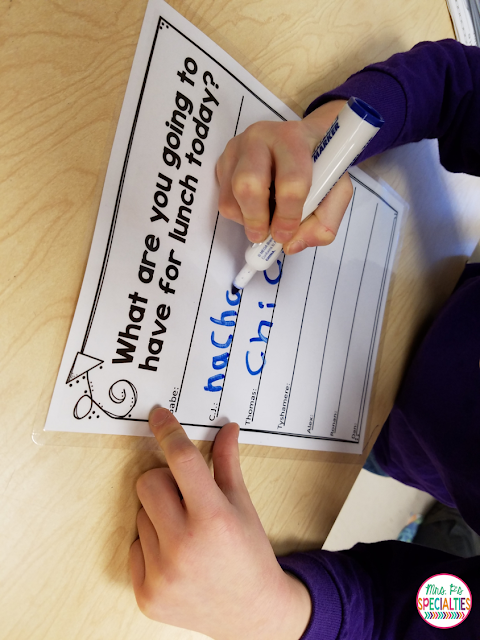 When they go to the cafeteria for lunch, students are required to tell the kitchen staff what they ordered. Guess what? They can’t always remember what they ordered! To solve this problem, we make a list of what everyone ordered to take with us. 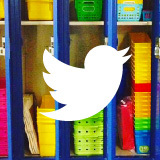 Now, we have students make the list. 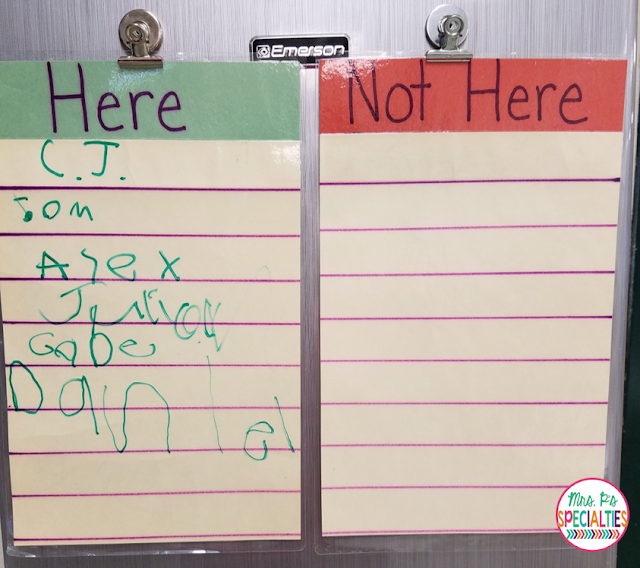 My last tip is to have a place for students to write their names when they arrive at school to show that they are here. Not only is this great writing practice, but it is a needed life skill. How many times have you gone to an appointment and have been asked to sign in? 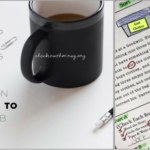 Students need to know how to do it neatly and quickly. Here are the sign in boards we use. Again, these are very simple to make & use and just needs to be wiped off daily. To make the sign in boards, we added lines and headings to tag board. 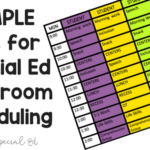 Laminate and find a spot in the classroom to hang them… Simple!! To extend this activity, I ask a student to write the names of anyone absent on the “not here” board. 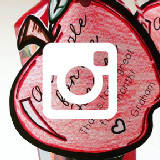 This helps encourage my students to notice peers and work on spelling or copying their names. 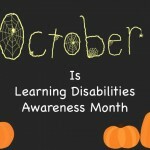 Pam is a moderate to severe special education teacher and author of the blog Mrs. P’s Specialties. 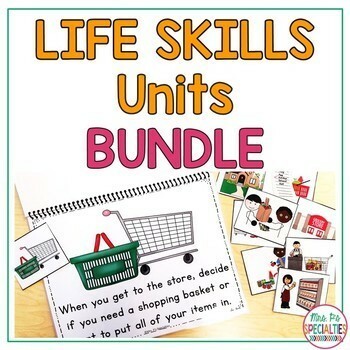 Pam creates products that focus on academics, communication, and life skills. 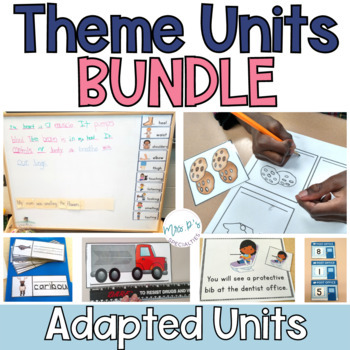 She is passionate about saving teachers time and money, so she creates multiple leveled resources to fit the needs and levels of all students. Pam lives in NY with her husband and 2 kids. 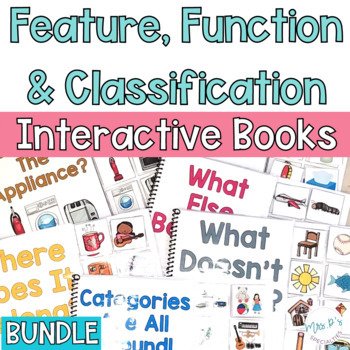 You can visit her on Facebook, Instagram, Pinterest, or her TpT store. 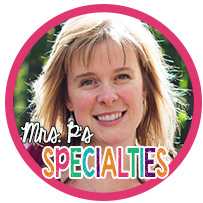 To learn more about her teaching methods visit her at her blog, Mrs. P’s Specialties.